I’m thankful as this year closes for having the opportunity to work with some inspiring people. First on that list is Susan Acuna from Literacy Council. Through her leadership, the Council has become the largest in the US, perhaps even the world. Working with her over the years has been among my greatest blessings. Her style of leadership is unparalleled. Every week I get the chance to work with the Janet from the Homeless Coalition, Martha at Sew Pretty, and my dear friend Shellie Johnson whose mad science experiment with me resulted in the Labelle Downtown Revitalization Corp. I’m grateful that this small company has given me the chance to work with some exceptional people like my mother, my sister Hallie, Ingrid, Sara, and Ryan. I’ve aimed to be the kind of boss that treated people with kindness and respect. These people inspire me as do my clients and friends. I’m leaving people out, I know. I don’t mean to. There are so many who have supported me, helped me, inspired me. This year I’ve also had the chance to teach several courses at FSW and even design several in the public administration program. I’ve also had the chance to start teaching at SNHU which has been a wonderful experience. I’m grateful to people and this community for their support for sustainability, the summit, and the burgeoning forum for discussion about important local and regional ideas. I’m grateful to my wife who stands by me and who is the best mother for our two children. I’m grateful my grandmother is still alive and the fact that she and my grandfather seem to have warmed through the Gospel. I share all of these things because I know there is nothing exceptional about me, no redeeming quality in my sinfulness. But I look on these things in my life and I recognize and realize the deeply personal blessings my Savior has lavished on me. There have been trials and there will be more, but tonight I am grateful for this year. 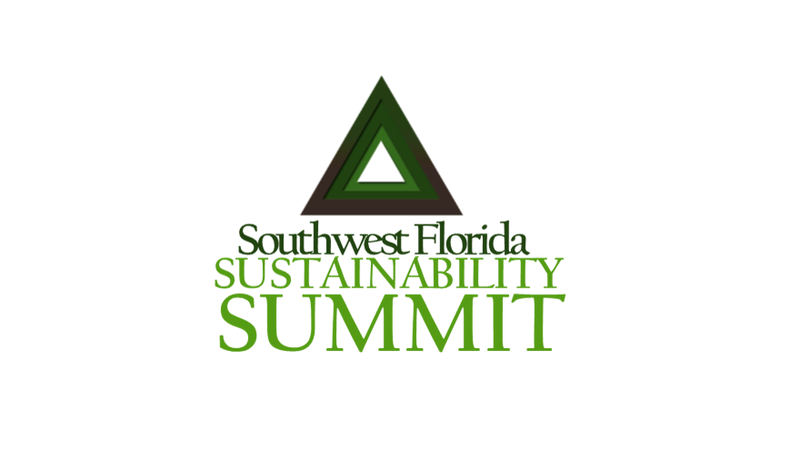 After over a year of hard work and sleepless nights, we finally concluded the inaugural SWFL Sustainability Summit yesterday at Harborside in downtown Fort Myers. I have joked with people several times when they asked me why I did it. I tell them that my friend Terry Cerullo asked me to take over his event as his friend and help him make it a success. I then tell them that I’m not sure if I should thank him or pray that his bathtub leaks in his home. There is a special, deep sense of gratitude that I have for the people that supported the event and me personally through this process. Although Terry “privatized” an event through my small firm, his marketing genius came through several times with different ways so that we could make the event better and better. Mei-Mei Chan, President and Publisher of the News-Press in Fort Myers humbled me several times – first with her involvement, then repeatedly with her support, and at last with undeserved compliments to me personally. There are countless others who have supported this endeavor and made something that begins to look like “wisdom” take firm root in our local conversations. My personal goal in supporting and organizing this Summit over the past year has been to raise up our level of proactive civic engagement by energizing the conversation and translating it for general consumption. Sustainability is not for the elite. Sustainability is not for the wingnut. Sustainability is for the people. And after yesterday, it appears that the people are for sustainability. People are ready to think deeply about what they care about and stop all the wasteful noise that they hear all the time. Now if you ask me what has been at the core of why I have done this (and wiser men than me have in the past suggested that asking that question is not prudent), I would tell you that it was in support of my friends who had tried and failed to accomplish this Summit and start this conversation. A base for wise community-driven discourse needed a home. Additionally, I would tell you that I think that people deserve better; we have the right to think innovatively and needed a venue to do it effectively, without nonsense and unnecessary dramatics. I would also tell you that this success was not from me. Martin Luther once said something to the effect that you should “work as if there is no God, then pray as if there is nothing you can accomplish.” That about sums things up for me. That’s about where I land on this. Am I proud? I am. But I’m proud in this sense – the sense that God would let his servant accomplish something so far out of his reach that it’s absolutely absurd that it actually happened. But, hey, that’s pretty common for God. I’ll leave you with this thought when it comes to vocation and success like this. It ties in nicely with the short quote that I attributed to Luther above. It’s where I stand on how successful the Sustainability Summit is now and will become in the future. Now to him who is able to do immeasurably more than all we ask or imagine, according to his power that is at work within us, to him be glory in the church and in Christ Jesus throughout all generations, for ever and ever! Amen. (Ephesians 3:20-21). The one thing that I now remember from the last time my dear wife was pregnant is how difficult it was for her and me. That same curse came upon men, as well. It effects us. But it is amplified through work. Men worked the ground and livestock to survive. God cursed men according to their vocation, their primary way they identify as men. When you meet a man, it doesn’t take long to get to the question “what do you do for work.” Everything about a man is wrapped up in his ability to work, the vocation he has chosen and his ability to provide. The end result is the measure of a man based upon his wealth. So, more about thorns. If you’ve read any of these meandering blogs I’ve written, you’ve uncovered I write about suffering and thorns. It’s because for some reason, I am a person who is more about work and profession than most men may be. It’s where I identify myself the most. I am driven to perform. I am constantly placing myself under duress if I do not exceed the expectation that I place on myself. I wrap myself up in the thorns that come from work and I pull hard against the yoke to move it forward. I bring it up the load up the hill and take no mind to the personal toll that it places on me. This is what I consider to be a leadership quality, but like all qualities in men, it becomes my idol. I begin to believe that I truly can be the difference in the world that I want to see – if I only work harder, push harder, and think more innovatively. It rests with me and my ability to achieve. This is a fatal trait that makes bearing with my wife during child bearing that much more difficult. It makes it less about her struggles and more about my inability to bring the cart up the hill. Then self doubt, then actual struggles and difficulties in work, then rocks and thorns and more thistles. THANK GOD for thorns. Without them I wouldn’t be able to stop myself from what is being termed performancism. The part of me that believes that I’ll find some sort of happiness in my ability to achieve. The belief that if I just do or get one more thing done, I’ll finally be the person that can show others the way to be successful. I’ll have reached the mountain top. I can guide the way. But you know, this isn’t the way it is supposed to be. This isn’t the way that I was designed. And you know what, God knows that and before any curses to his men and women came out of his mouth, he cursed Satan and promised a Savior. This is exactly what we needed before we were even in a position to respond to him. Adam didn’t go to God after he sinned with his wife and say, “look, Lord, I know that I didn’t listen, but let’s figure this out together. How can I make it up to you. How can I fix this.” He did nothing like that, instead he blamed his wife. We men struggle with thorns the same way, we fault others just like our great, great grandfather Adam did. But the answer has always been there. It’s been about Jesus and what he has done to rescue us from our thorns, our sins, our bad decisions, our failure and absence of true leadership. He did it by taking in the poison of the snake himself and wrapping the thorns around his head. He went boldly to the cross and determined to rescue those with a thousand year track record of failure and sin. “Those who obey the law will live by it.” But we cannot. We can’t do it. So thank God he burned our thorns up in the fire of grace. We’d be lost without it. I’d be lost without it. 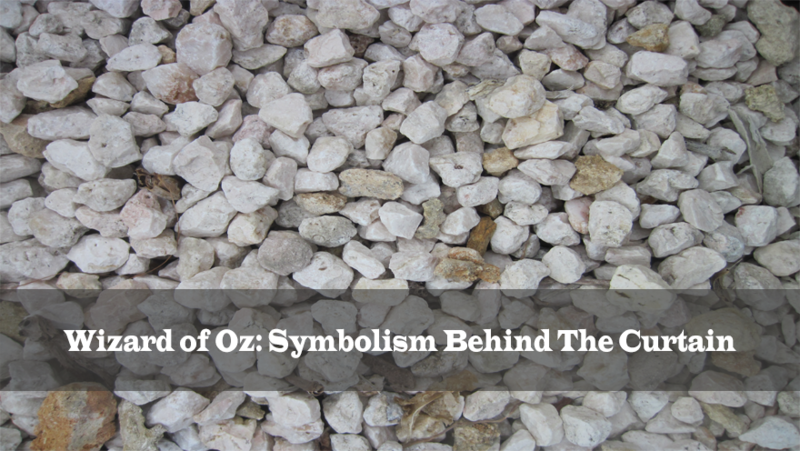 If you do a quick Google search for the term “Wizard of Oz symbolism,” you’ll get a ton of conspiracy theories, explanations about the political allegories found in the movie (and also the book, I imagine, and deep skepticism. Follow the movie with me for a moment. Dorothy, a young girl, with her dog Todo are transferred either physically, metaphysically, or through a dream into the magical land of Oz. When they land, their house lands on the Wicked Witch of the East. This is the beginning of the journey to the “wonderful wizard of Oz,” the mystic, the wizard, the all-powerful man who can make everything right. Long (and good) story short, Dorothy and Todo make their way to meet the wizard. Along the way they pick up friends who are lacking heart, brains, and courage. The wicked witch lambastes them over and over again throughout their journey. Eventually, and after many small victories and narrow escapes, they make it to Emerald City, the palace and home of the wizard. The lion, the scarecrow, the tin man, and Dorothy (and, I guess, Todo, too) needed the wizard to make things better, to fix them, to give them the answer. At first they see the powerful wizard with smoke, mirrors, loud booming voice and authority. He tells them to come back to him with the spoils of victory, the broomstick of the Wicked Witch of the West. They do just that, by accident, as it were, by tossing water on a burning Scarecrow. The water splashes on the witch and she melts into oblivion. The return to the wizard with the broomstick in tote. Finally, the wizards “smoke and mirrors” is discovered by a nosy Toto who reveals that the great and powerful Wizard of Oz is a mere man. Unable to offer any help, found out, Dorothy and friends are angry, fooled. The wizard tries to slink by, but they won’t let him go. The wizard admits that he is nothing, but that the things that they want are nothing, as well. He gives the scarecrow a degree, the lion gets a medal of honor, and the tin man was given a testimonial. These rewards from the wizard helped the friends realize that what they wanted, what they were missing, was inside them the whole time. They didn’t need anything special from his bag of tricks to make them “whole.” All they needed was to recognize that all they needed was already there inside them waiting to be recognized. That’s a powerful story, one that I’ve wanted to write about for quite some time now. I wanted to write about it to compare it with another powerful, but different, story. Contrast the Wizard of Oz who represents both the worst in moral and political authority and the best in human excellence with the man Jesus. The hardest part for people living post-Wizard of Oz era thinking to realize is that our broken hearts, brains, courage, and out-of-placeness cannot be fixed by our own doing. How many diplomas, medals, awards, honors, testimonials, and kudos from men does it take for you to get over the fact that you will die, that your best works are stained with sin, that you are always trying to fill an emptiness inside you that just takes and never gives. Jesus the man was different. His life was perfect; he lived under the law of God in heaven in our place. He fulfilled us and gives us his righteousness. He doesn’t lie to us and tell us that we need to look inside, dig deep, and accomplish our own salvation, our own happiness, our own way to the “Emerald City.” He tells us that we are evil, sinful, broken, self-serving and heading to eternal destruction because of what’s inside of us. “From the heart come all kinds of evil,” Jesus tells us. If we dig deep, we peel layers of rotten onion. That’s heart, our hearts. This hurts us; it’s offensive, so we want to peel back the curtain and demand of Jesus what gives him the right to tell us we’re rotten and horrible. We are hostile to him, we don’t want to be saved. We want to save ourselves. That feels so much more natural to us. But, that’s not where God leaves us. He opens the curtain and defines grace for us. You see, the yellow brick road on the way to enlightenment is a well-crafted lie. The real road was the journey up to Golgotha outside of Jerusalem where the Lord of Life was crucified. That’s what was behind God’s curtain. For thousands of years, the Israelites sacrificed sheep, goats, bulls, rams, and birds to show that the payment for sins, sinful hearts, and human beings was costly. Once a year, the high priest would enter the “Holy of Holies” to offer a sacrifice for sin for all the people. He would never enter without blood. But, these sacrifices never made people whole, cleaned. They reminded the people that God was the one who made them holy. More than 2000 years ago, the curtain was rolled back and behind it we witnessed love. We witnessed the “magic” of what it would take to fix our hearts and minds. It would take the death of a perfect God in the man Jesus. There was no smoke. There was no mirror and the only fraudulent wizard was the devil who was defeated in a single day. This Jesus was not a fraud. He gave up his life to give us his heart, his mind, his courage, and his place in heaven. What we search for – reputation, honor, courage, strength – from men such as the “wizards” in authority will never satisfy us. We won’t find it inside of us. If we look there, we will only see darkness. Instead, the curtain was literally torn on the day that they crucified Jesus. No longer is there a distance between our God and us. He will never float away in a balloon as the wizard did; he’ll never leave or forsake us. He wants us behind the curtain. He wants us with him forever. What happened behind the open curtain of God was the real death of the king of glory, the Son of God. That real death now saves you and me. How precious, strong, gracious was our God. Our words fail in describing the significance of what Jesus accomplished for us. It’s pure grace, love, strength and glory when he rose again to prove that our sins were paid for. So, if you wander on and off again the “yellow brick road” to self-fulfillment, you’re not alone. Just remember that the wizards of authority and this world will sell you the lie that you have what you need in yourself to be fulfilled. Then take a moment to look through the curtain of grace into the mind of Jesus, which is now ours because of his salvation. He gives us salvation and his righteousness because he knew we couldn’t save ourselves. His path paved heaven for us. Amazing grace, not smoke and mirrors! There is so much passion in the song that I’ve been listening to all afternoon as I continue to scramble to get done with all of the work I’d like to accomplish before the holiday season begins. I’m so blessed and incredibly happy with the professional success that the Lord has allowed me to meet with this past year. I know that if “the Lord doesn’t build the house, it doesn’t get built.” I’m paraphrasing that passage, but I think it’s in line with what Solomon meant. That’s what’s sublime about this holiday. We look for the swaddling clothes, the beauty of the angels announcing reconciliation to the world, to sinners, of which I am the worst, and the loving gifts of the magi who come into the story later. It’s beautiful, but we see the shadow of that miserable cross. There is a new project that is getting started by confessional Lutherans in the church in which I am a member (Wisconsin Evangelical Lutheran Synod). The website is called Bread for Beggars, and I have never been so proud to be a small part of something wonderful like this before. It’s a place where good music and art can be curated so that what is good is separated from what often infiltrates Christian music. We don’t have something like this, and I see the potential in developing it for the benefit of the kingdom of God. So here’s what’s sublime about the whole thing and how I want to tie this all up thematically. 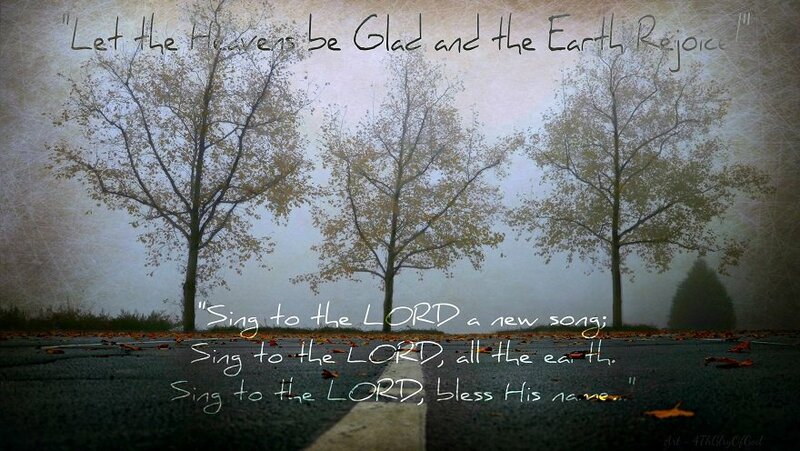 All afternoon while I’ve been working away at my day job at Atilus, I’ve been listening to the song “Hallelujah by the band Cloverton.” The song is beautiful. The lyrics tell the story about how Christ came into the world to die. Hallelujah literally means “praise the Lord.” The joy that this song brings me is beyond me. It’s like the weight of all the world has been lifted off of my shoulders and placed on the shoulders of a baby. A “lamb prepared” for me. Take a moment and listen to the song and tell me what you think. I believe it’ll move you to understand what I’m talking about when I write “sublime.” There’s nothing quite like music to explain the beauty and majesty of a God that sent his Son into the world to die for sinners like us. It’s simple. It’s sublime. 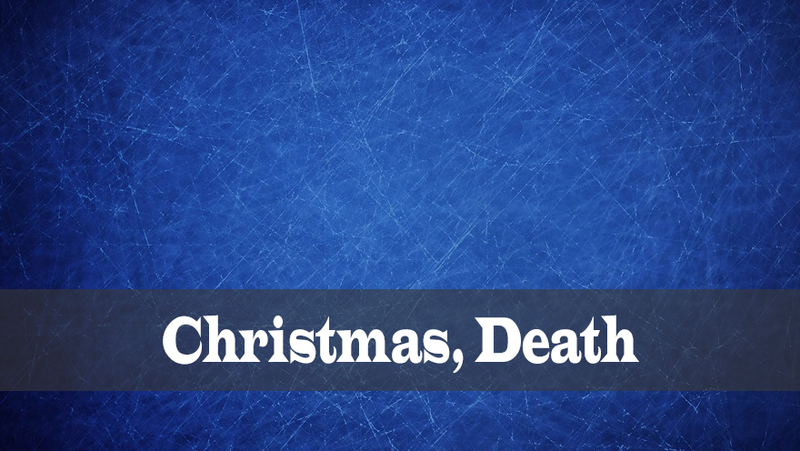 It’s the real truth of Christmas, wrapped in death, but offering life to us through the victory and the resurrection. It’s really hard to keep my mind quiet some times. I keep thinking about things I don’t have and push myself harder to provide for my family. Sometimes I want to become like the Old Testament man which God raised up. Except the man I’m thinking of supported his whole family, and God sheared off his ability to provide for his family. Like string attached to a nail, once he was “shorn off” they fell. I pray that I am given the gift to support my family during this stage in my life. For some reason I spend more time about storing up enough for all of us to live on in our old age. Not just me, but my entire extended family. When I “tried to do good, look, there is evil right there with it.” I don’t know if this desire is altogether pure. There must be some pride in it, some lack of faith i my dear God who loves me and promises to care for me as his child. Even on the playing field of life, in work, I see good mixed with evil. Sometimes I feel like Lot must have, “tortured in his righteous soul” living and working in Sodom. There are thorns, where I would have yield fruit. There are thorns in my hands, and I truly see them interwoven in my labor. “Yet I will see good in the land of the living” because I “know that my redeemer lives and that in the end I shall see him with my own eyes, I and not another.” Passages like these comfort my soul because I been taught to run to them for shelter. The “fool says in his heart that there is no God” and how I yearn that they would look and God would heal them. He would heal them like he heals me. Teaching me that even if my nail were to be shorn off, I would not fall for his rod and his staff, they comfort me, catch me. The nails that held him to the cross support me in my every hour. The cross is my glory. His cross, my glory. Thanks be to God. Rejoice in the world’s dear Lord who saves us with the blood from a head pierced with thorns! Through the thorns and the cross, his thorns and cross, we have everything. I have a saying: “the harder you work, the harder you work.” Nobody gets it. No matter how I intone my voice or even explain it, I really don’t think it makes sense. The sane person would drop it and use a cliche. The rest would really be no the worse for wear. I don’t because I am tenacious in almost everything I do. My wife calls me an extremist. The point I mean to make is that the harder you work the more responsibility you gain and the more work you are given. It’s great for capitalist thinkers; doesn’t jive in bureaucracies. The saying usually gains blank stares. I say it myself in different occasions: when I’m proud or thankful. When I appreciate what I’m able to put my “hand to do” and meet with success. I say it to myself also when I’m tired and “heavy laden.” I say it to others as an encouragement. Does it make sense? Does it help or actually encourage me? I don’t know. I wish it encouraged others. 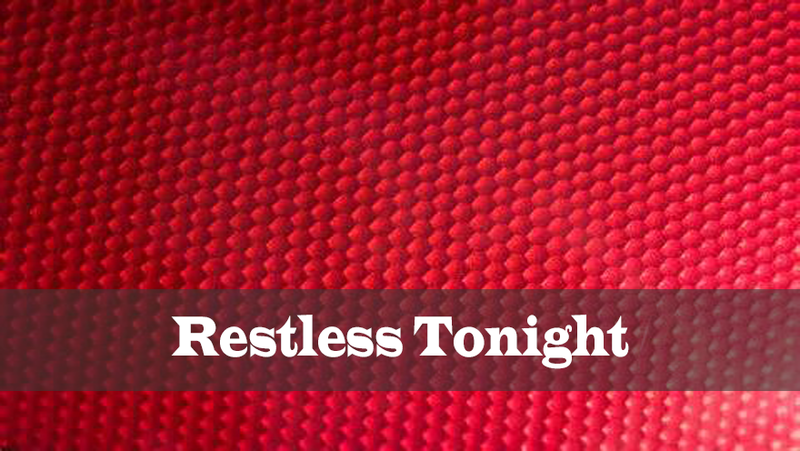 I’m restless tonight. My mind won’t turn off; I have been spending time consumed with analyzing things in my life that should be simply glossed over. I’m consumed with being successful. I want to make an impact and be good at what I do. I want to be an expert, yet I find myself only becoming more and more of a generalist every day. It comes with hard work – you have very little time to focus in on one thing for very long. So this long road circles back again to this mind and this bed being very ill at ease with each other. This is not neurotic; it’s cyclical. But I still think it’s far too human to be crazy. The balance of my life confirms this rationale. I have repeatedly been a slave-driver to myself, prodding, whipping and demanding of myself labor, intense and unrelenting. To make these matters worse, I then treat myself poorly by fixating on the three things I didn’t do well or did without intention that I can’t sleep, instead of the countless blessings I’ve been given. Christians have a tendency to focus so much on ourselves for so l long that we lose focus on Christ. Instead of sleeping in our beds, we rehash our shortfalls and actually actively despair of ourselves. We get into the boat, strain at the oars of life until we are blinded by fatigue, then we wonder why we are so preoccupied – why the peace we long for is so allusive. The challenge for faith – knowing we are at peace with God because of Jesus’ redemption. God created us male and female to live together with him and rule all of creation. We lost that because of sin and so we live in a world that glorifies self, avoids God, and trends toward evil. It’s no wonder why I get to feeling like this sometimes. We inherited a sinful nature from our parents that is naturally hostile to God. Talk about ironic: we are born with a nature that HATES the God of love. Through the gift of faith we are called sons and daughters of God. Yet, we still have the sinful nature and evil tendencies. One of which is the reason why I’m restless tonight: I have focused far too long and hard on me. In the end all you will find is despair. One of our greatest misunderstandings is the idea that we can approach God in the same way that we approach our daily lives, living, doing, accomplishing…or, regretting… as a “something” and not a someone. We can’t decide to move to God, take action, and then expect him to immediately be at our beckon call. We have a tendency to forget our place with God. We are pots, jars, sheep, and children. I believe the Bible authors make that completely clear. Experience teaches us the same. If that were the case, God would live with us now and this earth would be heaven. As it is, it is not, and God has clearly stated that our sins separate us from him. The Jews tried to do that with Jesus once, to make him a ruler by force, but he refused it. His way was higher than our way. The same is true today. So, dear “self,” rebuke yourself sternly and welcome the godly rebuke of others. When work becomes obsession, when your life does not center full-time on Jesus, then you must rebuke yourself sharply. Tell Satan to get behind you and carry your cross. But always remember that when it doesn’t feel like God comes running to you in those times He has already died for you in his time, on his terms. His ways are higher than ours and he always accepts those who turn to him in faith, even when they wear themselves out working for things that are less than important. Writing for me can be cathartic. Sometimes, when I hit these metal road bumps, I can’t shake the feelings of inadequacy, feelings like I don’t fit in, like I’m not good enough. Sometimes, writing for me becomes more than words. It becomes more like picking splinters out of my mind. Sometimes. Other times, I write to teach. I spend a lot if time listening because I feel others have much more important things to say. I truly think most other purple are tons more interesting. I like to listen. I like to agree. I enjoy understanding. Writing gives me an opportunity to find my voice – and share it. More than anything writing affords the opportunity to be reflective. I’ve spent years of my life so quiet because it was good “to bear the yoke when young.” During those times, I wrote, without pointing out the iniquity I saw in others personally, and I found it relieving. Instead, during this time I used writing to focus on the imperfections in me. 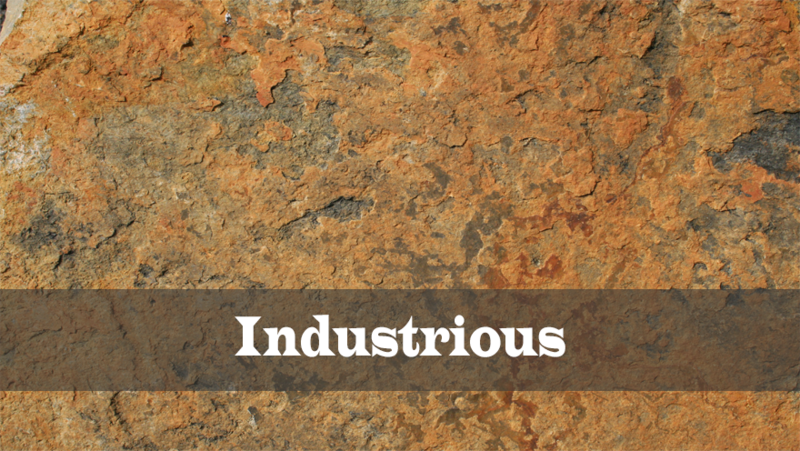 God uses furnaces to destroy, but He also uses them to refine. The consequences of trials or furnaces aren’t erased. Just like burns on your skin leave scars, so do those that have burned your mind. Refinement is painful. My scars have made me even more introverted. Sometimes my scars come out as a shaky voice. Sometimes they show up as mental ruts and anxiety in things, that, quite frankly, are imagined. Sometimes it manifests as simple self-doubt. That is why I thank God so much for writing. When I write, I feel like I can run. I pour out my thoughts, but I calculate their meaning. I try to write about concepts so that others can reflect on their own personal refinement by peering through the honesty I place here. In a sense, my weakness has sharpened my strength. In one of Max Lucado’s books, he writes about how Jesus is the garbage man. 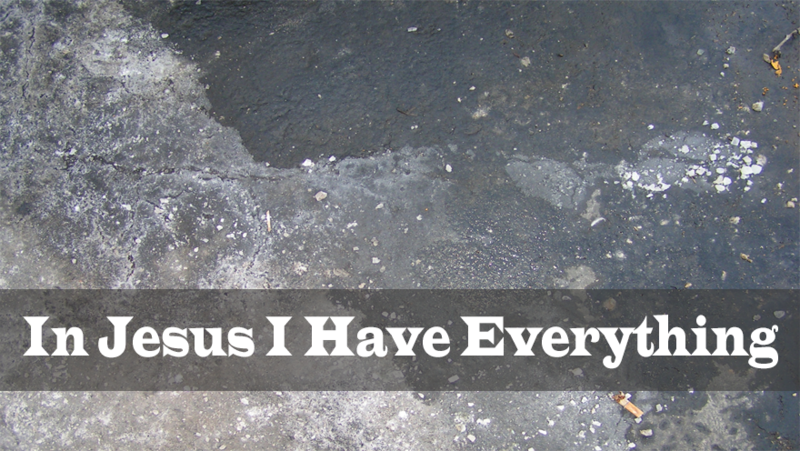 He sees us each walking around hoarding our sins on our shoulders, refusing His help. He sees us as we are. Then, and when we are still helpless, he comes close, embraces us until the trash slips to the ground, and bends over to pick up our trash, which is our true self. Burdened with us, he was crucified as the criminals we are so that we can be free. 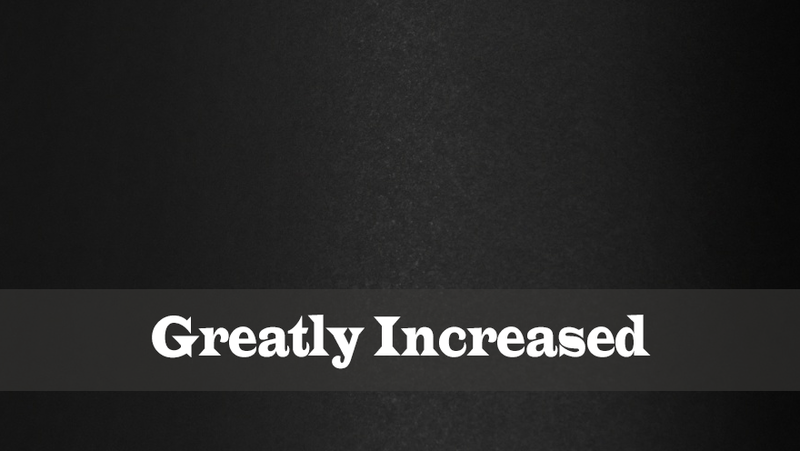 Grace upon grace – the fulfillment of everything God had to say to us – written down. The power of words. So, if your gift is writing, reading, or building and fixing, if your struggle is within or without, if you can’t tell which end is up – then you are exactly the person Christ came to save. He had someone like us write down that He “loved the whole world that he died for us.” And He wrote all about what He’s done for you since the beginning of time through the end of the world. His word remains the firm foundation for anyone who is being refined. At any interchange in life. A friend sent me a link to a James Altucher blog the other day about self-sabotage…more about how to overcome it. I am one of those people who seems to get caught up in doing that. I swipe the mosquitos of my errors for far too long, pick myself till I bleed and regress into myself. I imagine some of you are like that too. One of the biys from the article I read was about setting 4 goals a day. If I’m honest with myself, even on my bad days I can manage getting things done. But I never feel, or rarely at least, a ‘sense’ of accomplishment. So, yesterday, I set in motion plans to try to correct that. My wonderful wife set me up with a desk in our bedroom so that I wouldn’t be in the middle of it all and wouldn’t wake the baby with business calls. I also signed up for Weight Watchers so that I could treat my body better. I’m getting close to 30 and heart disease runs in my family. Today, I logged my points and accomplished getting two major projects done. All said, I accomplished three large things (for me). I also did the dishes and the laundry (despite having done the latter improperly and my wife having to redo them… I will consider it an accomplishment, as well). Katie is sick, I’m getting over a cold, the baby is sick, but we’re okay. Jesus gives us these ‘accomplishments’ in his grace, and I don’t thank him, or those that help me daily enough. Here is where I depart from Altucher. On these days when God in his wisdom has blessed me, I will thank him, and remember that he can do anything with a jar of clay. Even help him get for things checked off his list for the day, knowing full-well that this man is but dust. And why couldn’t he? He’s already created the world, sustains it daily, died and rose from the dead for me, and rules all things for Christians. Yes, his four are bigger than mine. But that’s why he’s God, and I’m thankful today.